Ordering turf and topsoil from Ivinghoe Turf could not be easier. Using our online turf ordering system we can help you calculate how much turf you will need and provide you with an instant online cost of your turf including delivery charges to you. We are able to deliver turf to you across Hertfordshire, Bedfordshire and Buckinghamshire Tuesday to Saturday. 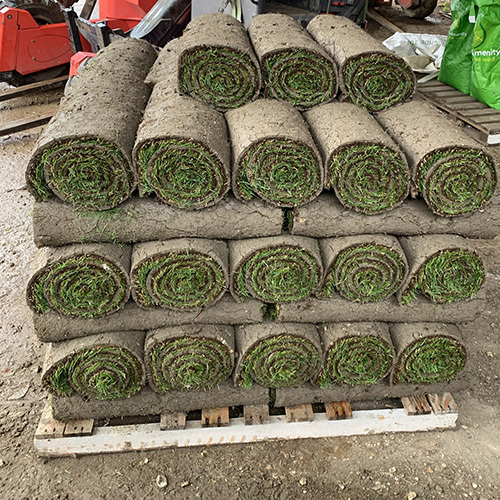 For turf to be delivered on Saturday an additional supplement will be added to your delivery charge. 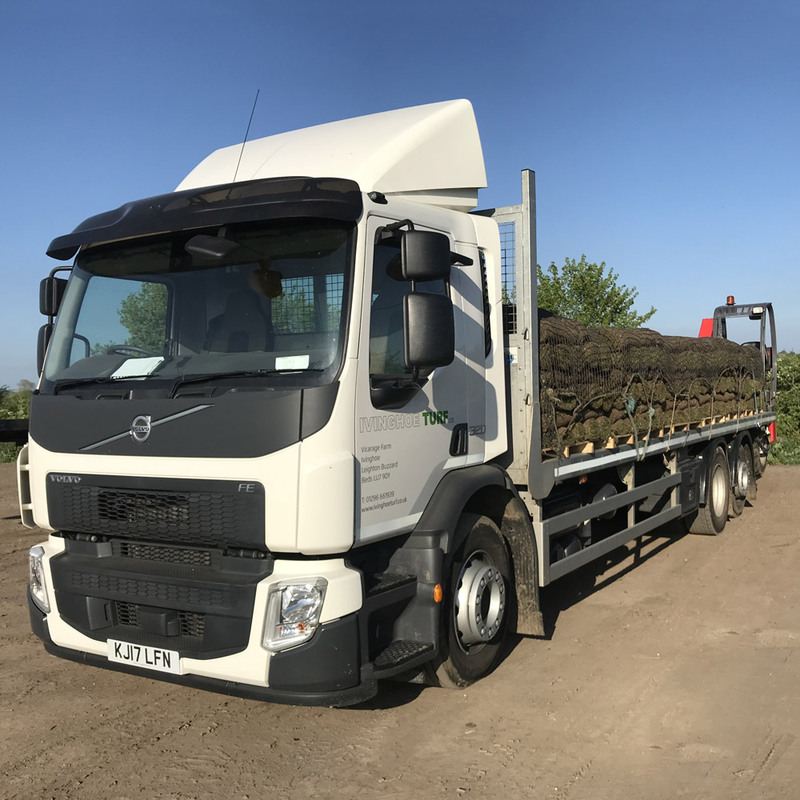 For many of our local deliveries throughout Hertfordshire, Bedfordshire and Buckinghamshire, we will deliver the turf using our very own fleet of delivery trucks. Using our online turf ordering system you can order turf and select a day on which it will be delivered to your convenience. We aim to deliver turf on your specified day before 17:30. For deliveries placed before noon (Monday to Friday) we can arrange to deliver your new lawn the following day (Tuesday to Saturday). For more than 30 years, we have been growing, harvesting and delivering our very own brand of turf throughout the local area. Continuous development has enabled us to meet the most stringent standards set by the most demanding customers, and allowed us to reach the high standards set by the Turfgrass Growers Association (TGA). 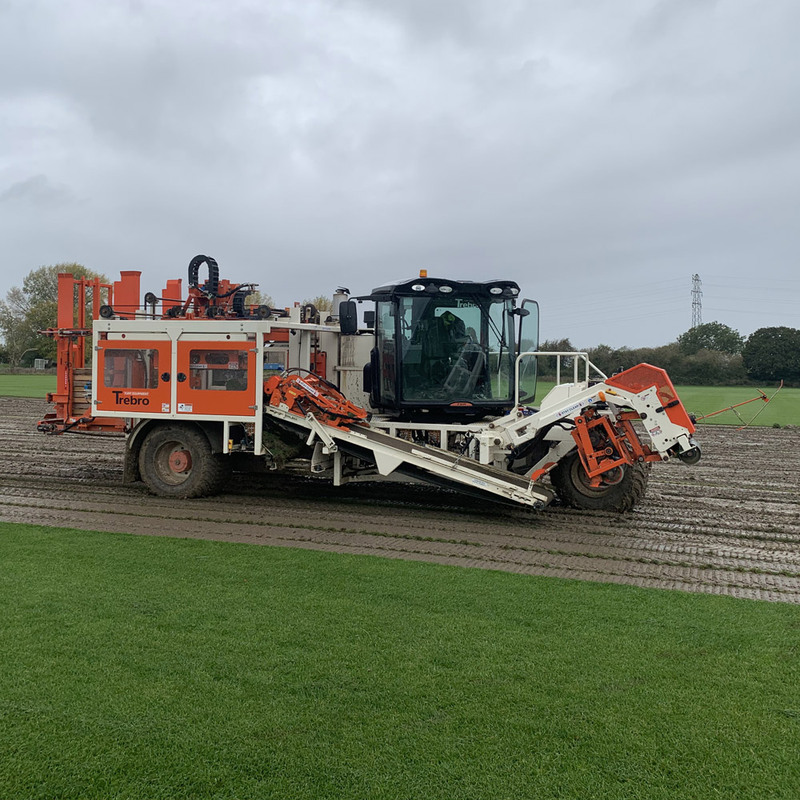 Investment in irrigation, drainage and the latest turf harvesting technology means that a high quality turf can be consistently produced all year round. Our fleet of trucks are used to deliver turf to all areas of Hertfordshire, Bedfordshire and Buckinghamshire. Within our fleet of delivery vehicles we have; transit vans - with and without tail lifts as well as 44 tonne lories with a specialist mechanical offload. For local delivery our most popular size of truck used is a rigid vehicle with rear-mounted forklift. Our equipment gives us the flexibility to deliver your order direct to your drive wherever possible. We offer kerb side delivery. We only deliver where our vehicles can access. Please do not ask our driver to carry the turf through to your back garden if the access is not wide enough for the vehicle to fit through. If you have any access difficulties to your property that you feel may be a hindrance to your delivery, then please contact us today and we would be very happy to discuss them with you. We grow and harvest our own lawn grass and pride ourselves on a quality service from order to delivery. Based in Ivinghoe, near to Leighton Buzzard and Aylesbury; our delivery service in the Bedfordshire, Buckinghamshire and Hertfordshire area is unparalleled. Whether you want to landscape your whole garden or just redo the lawn turf in a small area we can supply your requirements.